Planning your next international vacation across the world? How about having a Quiet, comfortable space to relax with Wifi, Complimentary drinks & refreshments before your Flight take off ? Welcome to Lounge Class. Airport Lounges are one of the favorite part of my travel as they give unique experience at airports while saving some money on other side. 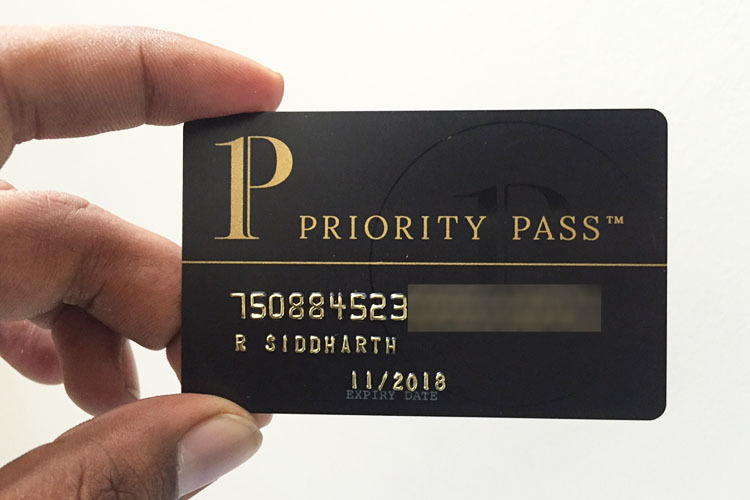 Priority Pass is currently the world’s No.1 independent lounge programme that gives access to 1000+ lounges worldwide which means, you can virtually access any lounge with its membership. All you need to access the lounge is a Priority pass card which is given for free as a credit card benefit on some of the premium cards that i’ve listed below. If you’re new to Priority Pass, check out my Ultimate Guide to Priority Pass Airport Lounge access. 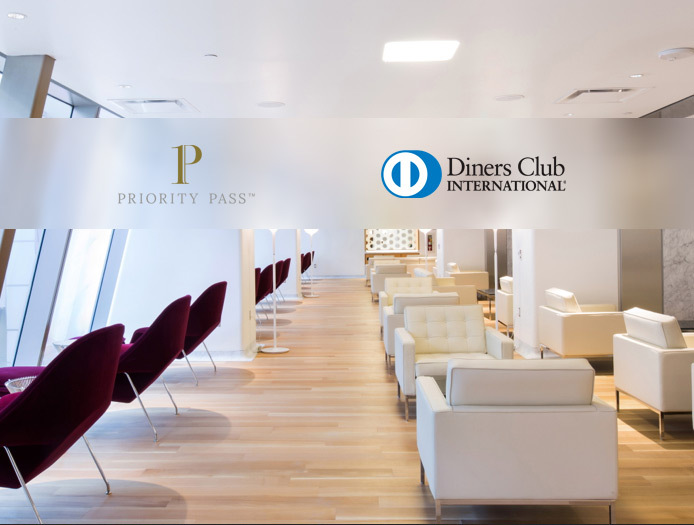 Diners Club Lounge access is next best to Priority Pass and they do have quite good number of lounges in their network. Almost all lounges i’ve been to accept both Diners & Priority pass except rare case where Diners is not accepted. For access via Diners Club all you need is the Diners Club credit card itself which will get you the lounge access directly. Lets see some of the best credit cards in India which can give you complimentary international lounge access through above two programmes. This stands almost in par with Infinia except that the lounge access is given by Diners Club itself. I’ve recently accessed international lounges in Malaysia & Bali with my Diners Black credit card and add-on card and it works perfectly fine (no more). The visits are not even recorded in the credit card statement. New entrant in credit card segment but this should work perfectly well as like any other. Its currently being issued lifetime free and its the right time to grab one. If you’re happy to pay this card’s annual fee, around Rs.20,000 per annum, know what, you can get upto 4 add-on cards apart from primary card and all has unlimited lounge access benefit through priority pass. This is one of the most famous credit card in India with which Priority pass card are issued with decent complimentary visits. Recently they allowed sharing the visits with Add-on Card holders as well. A recently introduced variant placed a bit lower than actual Regalia version, comes with 4 complimentary visits, still holds good for one time foreign travelers. While most of them struggling to get Priority Pass card on Allmiles Card, HDFC is still issuing it with 4 complimentary visits. Again a new entrant in credit card industry, though its worth it as you can get this card for lifetime free as a temporary promo offer. Apart from International lounge access, it gives unlimited Domestic lounge access which is a good mix for anyone to choose. A less known card for many, runs on Diners club platform and good for Jet Airways frequent flyers. While you have a lot of choices, the best way to pick one is based on the annual fee. If you’re able to get any of the above cards with no annual fee, its a go to card. I prefer to have a mix of one Priority pass card and one Diners Club card so you have a backup in-case the other doesn’t work for some reason or other. Whats your favorite card for International lounge Access? Feel free to share your thoughts below. Big fan of your blog and regular reader of your posts. Can you review the RBL cards as well sometime? Reviews of Platinum maxima and Platinum Delight would be really helpful. Also, I have a limit of 1.85L on HSBC card (had the option of increasing it to 2.47L a few months back but now not being offered) and 2.62L on Regalia (1 month old). Should I go ahead and apply for the Yes Preferred now (card-on-card lifetime free only)? Multiple queries were made on my cibil 1 month back as I applied foolishly for all cards thinking I could reject them later. Wasn’t aware that would affect my profile, my cibil score is still healthy. Please advise. Well, will review them shortly. Ofcourse, Yes preferred is a good option as its a lifetime free card. Generally it wouldn’t put hard inquiry. HDFC was not displayed in the inquiry list. Looks like they have different type of access. Sid, small correction- The limits on Yes first preferred is 4 and they are only for primary. For diners premium it’s 5. Great take on the topic. Ofcourse it’s an often asked question. The only mistake in the post is that there are total number of “5” free international lounge access on the Diners Premium Card against the mentioned “4”. Hey sid, does sbi/indian or any such bank credit cards provide lounge access across the world? Regalia and Regalia First have downgraded the number of Free visits in their PP offering. Kindly update the article . Visa Signature cards also provide access ro international lounges. Like Citibank Premier Miles. It gives access to only Intl Departure lounges located within India. Isn’t it? If you consider Debit cards then RuPay Premium Debit cards from banks like HDFC and Axis Bank can give 8 free international/national lounge access in a year. Now that’s something from NPCI!! Very few people are aware about this feature. But i guess its only for Intl departure lounges in India. Right? No, Rupay Platinum/Premium debit cards allow lounge access (2) times per calendar quarter per card in any of the 27 domestic airport lounges and over 540 International airport lounges. You’ll be amazed to know that this card comes just for Rs 150+ ST. This is better than most debit cards in India at this fees. I still wonder what network they use for Rupay Intl lounge access. I’ve never seen rupay swipe machines or banner promos anywhere in lounges. RuPay has tie ups with Discover, Diners Club, JCB (Japan), China Union Pay, Pulse. Where ever you see these logos, RuPay cards will be accepted. Sounds interesting now? What say? I guess it so. Am aware of the diners/discover partnership with Rupay and was digging the Terms & conditions of Rupay card, but it doesn’t mention anything. Btw, i recently tried charging my Diners on JCB enabled swipe machine in Indonesia but it did not go through. Exactly. This is because JCB network works only in Japan. That’s why you couldn’t make it go through in Indonesia. Similarly, China Union Pay works only in Mainland China and Pulse network is only for ATM withdrawal and not for POS. However, Diners/Discover is in any part of the world. If you need the link, do let me know on twitter I’ll DM you as links are deleted from the posts here. Citi Prestige should appear as No.1 as it has unlimited lounge access for 1+5! AllMiles PPs expire wef from March 1, 2017. Question – Is priority pass membership a one time thing? So let’s say I have a PP membership from a credit card and I close this credit card, do I have to apply for a membership again with a different/new credit card or will the existing one be valid? If CC is closed, PP also gets closed. So yes, you need to get a new one with PP membership. You can also get PP directly from Priority pass itself. 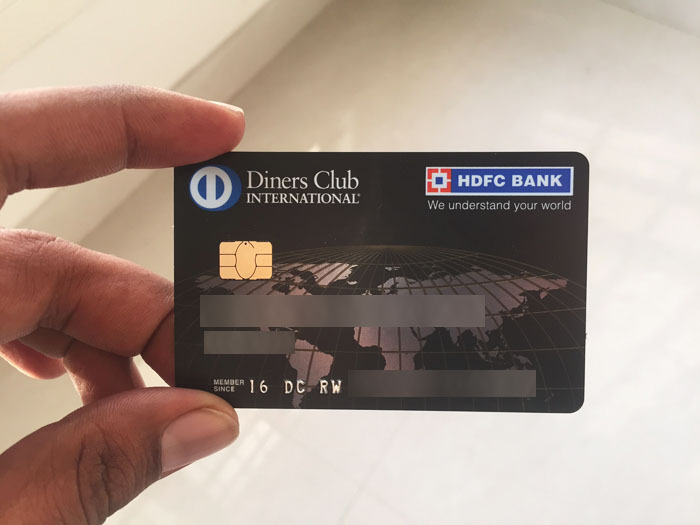 after many requests from HDFC managers, 3 month back I got my first Diners rewardz card , That very day i searched the net for credit card, and surprisingly every question landed me to your page/blog. So my journey of credit card started with your blog page. First of all kudos to your blog, its amazing, simple and lucid . now we both are having two cards, Diners rewardz and Regalia first. before reading your blog i thought all credit cards were same. 1. how can we access lounges in India (we all four)? 2. What is the procedure to access the lounge, I mean, my Diners card is sufficient or do i need priority pass ? 3. How can i avail Priority pass for abroad? 6. HDFC sent 2 cards , (e.g My diners and bro secondary Diners, and My bro’s regalia and mine secondary Regalia) These cards (Diners for bro, Realia first for me) called add on card? 7. Why i received PP card ( coz i was add on card holder for regalia, it was from regalia side) and my bro dint? or we two are allowed on this single PP? Its tough for 4 to access lounges with these 2 cards. You can get multiple add-on on regalia first and use though but you’ll hit the limit fast. Only primary Diners Rewardz has lounge access. All these are already spoken in respective blog post. please check them. Siddharth great work. Appreciate your work across all cards. Based on your recommendation I applied for Diner Black and received it yesterday. After reviewing your site I realized how much I had been missing out on cards. As I maintained only 1 credit card CITI rewards. Now I can make more out of cards. Thanks to you. On Lounge access, I have Black with 1 add on but to take my kids along ( below 10) I have to pay for the charge or I shall have another set of credit card to skip the charges. especially when travelling with family abroad or domestic. Infinia is tempting but way high cut off requirements. any other suggestion where i can get through with minimal. Glad that i was able to help. For Kids, i guess some lounges allow for free. For others, you might need to pay for them as Add-on Credit card may not be issued for them. Was searching a card which can give good access to lounge. However to my utter surprise I was not aware that HDFC Bank was giving lounge access over Signature Cards. I am holding the card with high value limit. I do air travel almost 5 times in a quarter. Use HDFC CC for booking air tickets. But till date not received any mailer or information or proactive process where in they can join me in “DEFAULT”. I feel cheated now. I know its my issue coz I was not aware. Now when I am seeing the benefits it says the access is going to be withdrawn w.e.f. March 17. Will you suggest any card on Visa/Master platform which I can take. Well, you might be knowing the features from catalog or website. They or any bank don’t intimate this as its a feature with Visa. No worries about expiry as they’ll be renewing it usually. Do I get access to Mumbai Clipper Lounge also any International Lounges in Europe or US. ? Hi, I have been last week to Malaysia and Indonesia. While trying to use Diners Black card, Lounge guys were able to swipe primary card but as soon they try for addon card, they couldn’t. Reason being same card number (primary and Add On) . I called HDFC, they informed, valid for primary only. through sharing. He need to wait for a while and swipe after resetting the txn or something like that. I had similar issue, but then went through when tried after a minute or so. For HDFC Premium card, is the lounge access valid only for the person whose name is on the card or anyone holding the card? I have both Regalia and Diners Premium cards. Is it possible to use both the cards at the same lounge at the same time ? Will it work ? I have both Regalia and Diners Premium cards. Is it possible to use both the cards at the same lounge at the same time ? Will it work ? Appreciate your views on this. I used both Cards at the same time and it worked. I am a NRI and have credit cards issued in UAE, I was able to use it in UAE Airports. However, In india none of my card worked. Would you suggest me some cards which I can take to use in Indian Airports. You can get Rupay platinum debit card on your NRE/ NRO account and you will be eligible for 3 lounge visits every quarter. Shouldn’t Diner’s Premium be ranked above Regalia and Regalia First? Let me thank you for the efforts on answering questions. I am following your blog for quite some time, very useful. I am holding Diners Black, with the recent changes in Lounge facilities, please comment on complimentary access for add-on. I guess its still allowed as no one reported of being denied. Has any one use Premium rupay debit card for international lounge access. I am an NRI and having NRI account with Axis bank. Do I have any option for Axis creditcard with good international and domestic(India) lounge cards. Do hdfc diners black and jet diners both allow primary+supplementary card holders free access? It does, but not officially and cannot rely 100% as it maybe revoked at any point of time. Hence, you got to play safe! Hello Mr.Siddharth , have been visiting your blog for getting a creditcard for myself especially for lounge access, unfortunately as a home-maker I only have SBI SimplySave Pro credit card, just wanted to know, what would I have to do to get a premium credit card with lounge and dining benefits as a Home-maker in mind? Without even informing me, the payment accepted by HDFC bank declared as settled long back. My CIBIL score affected for issue of credit cards only by any other bank. My present CIBIL Score is more than 825 and I am getting other loans regularly with good payment track except credit cards due to remark from HDFC Cards. Now I am planning abroad tour with my family and I may require to avail free launge access at some of the air ports. Please advise which bank will issue a credit card with launge access facility. Can we have lounge access at final destination on arrival (without boarding pass for a departing flight) ? Is this possible on domestic arrivals ? Please throw some light on it, if there are any lounges on arrivals terminals and do we have access. In India, you get a good lounge access only at departures! Only Delhi has arrivals lounge (T3 both domestic & intl) where they give biscuits and tea with very small lounge area. Terminal itself is good btw. Hyderabad has transit lounge but u need to have flight within 24 hrs to be able to access it. There are arrival lounges in some airports. For example Delhi airport does have a couple of arrival lounges accessible by PP. But they are few and far between except for the larger airports. Yes-there are arrival lounges in most airports, though they are more coffee shops than actual lounges. Delhi has Plaza Premium arrival lounge in T1 and T3. Siddharth has reviewed Hyderabad arrival lounge in the blog. Diners and Amex provide free access to most. I have Diners Black (Primary & Add-on).. Used Add-on in MSP airport & got charged for the add-on. Now Diners’s HDFC website says that it is complimentary only for Primary holder. Never knew when this change happened – wasn’t informed either/. Is any of you aware of this change? You’re the 2nd to report it. I’m yet to use Add-on for access in past 1Yr, so couldn’t comment. So it appears that the change is now effective. Ok, thanks. Will try discussing this with RM. I read somewhere on this website. Diners Add-on lounge access is available only for domestic lounger and didnt work on international lounger. I personally using dinersblack add on card in domestic lounges without any issue. apart from priority pass and diners if any Indian credit card has access to international airport lounges directly? your early response will be much appreciated. as i am leaving for Bangkok on 23rd early morning. I am 69 years as on date, which credit cards are available for me and can I get domestic and international lounge access. A) Domestic: 2 different bank cards for the same person if they are from same company – ie. 2 Master Cards/ 2 Visa Card- Not accepted. My wife had both masters, and machine declined the 2nd card attempt. However, 2 Different bank cards from 2 different companies- i.e. 1 Master/1. Visa: Accepted. No problem – I had HDFC Visa, and Yes Bank Master, it was accepted. Another option for me was to use priority pass from Yes Bank even in domestic lounge as it is still not charged. That would have worked. P.S. : Sorry for the long post, hope it helps some fellow travellers. It’s my way of saying thanks to you people managing this site- probably the best site with genuine information on the best credit cards available in India with such in depth coverage and practical information from actual user experiences. Good job guys. Thanks RM. Could you please tell me if HDFC charged for the swipe on Diners Add-on Card? RM – Hi, I tried to understand your post but unable to! I have used my ICICI Master card and my HDFC MasterCard at the same time and got in with my wife at the domestic lounge. The reception just swiped the cards on 2 different machines. Rs 25 was charged which gets reversed within a few hours. I can only say that you’re lucky! I was clearly told that 2nd card is denied. Infact, I had issued the Yes Exclusive Card in Initials for our names (ie., N Surname instead of Name Surname- which is in our HDFC cards) thinking it may help in such scenarios. But… I was too naive. The moment they swiped, they knew our full names, and informed that access was denied due to the other card being swiped earlier. Btw, when did you try it worked- My experience was in May-June 2018, at Delhi T3. IMO SBI Elite can get a spot in this list. Actually better than the bottom few. SBI Elite is mostly issued in Visa variant only. As of now VISA has only 5 domestic lounges viz., Delhi, Mumbai, Bangalore, Hyderabad and Chennai. Further the number of visits in a quarter are2 only. I have never had problem in lounge access. Most of the times i swipe 3 cards in my name for access and occasionally my wife’s card. They hardly check seeing a family and this time they let my daughter who is 5 years old free entry in Delhi airport, the lady smiled and said i am making an exception enjoy your stay here. I don’t think HDFC Regalia allows Lounge access within India. Probably this is a recent update and this article might be dated. Also, it is a pain to go through their customer care to get the Priority Pass membership card. I prefer MasterCard for the lounge access- However, these are restricted 2 visits per quarter. 1) Check the add-on card’s and primary card’s first 6 digits. If both are same, both the cards will get lounge access irrespective of what the card issuer website claims. 2) Only exception to point no 1: If last 4 digits are also same for both add-on and Primary, then only one card will work at a time. I had recently visit t3 lounge , where they denied me with hdfc regalia . Told me that go to a separate lounge for regalia. The AddOn Lounge Access by Diners Black has been discontinued. Pl update.